New findings of the correlation between acupoints and corresponding ,brain cortices using functional MRI. 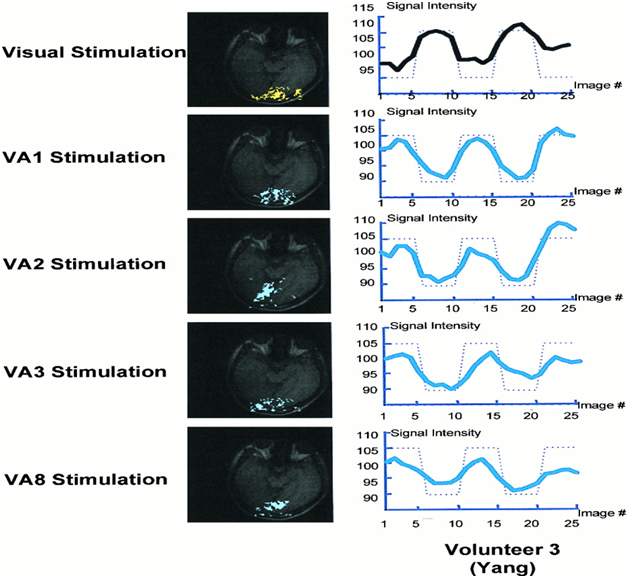 Experiments with 12 voluteers yielded very clean data and very close correlations between visual and acupuncture stimulation.We have also stimulated nonacupoints 2 to 5cm away from the vison-related acupoints on the foot as a control, and activation in the occipital lobes was not observed. 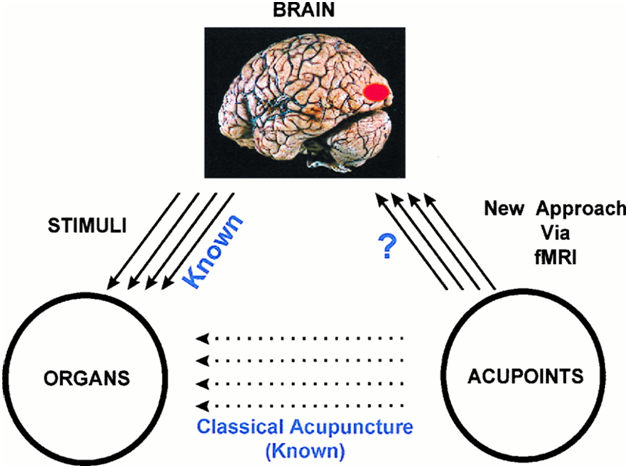 The result obtained demonstrate the correlation between activation of specific area of brain cortices and corresponding acupoint stimulation predicted by ancient acupuncture literature. At Oriental Day Acupuncture, we are proud to have received the following recognition for our contributions to the community as a premier provider of services for the area. The experiment was conducted by using conventional checkerboard 8-Hz light-fresh stimulation of the eye and observation of the time-course data. "Oriental Day Acupuncture is the good place in town for customer service. We were very happy with the results."